Whether you’re a commercial or residential investor, anyone looking to keep the most possible profits from real estate investing should understand a little IRS-approved gambit called the 1031 exchange. In theory it’s simple: defer taxes paid on capital gains when you sell a property by immediately rolling the proceeds into the purchase of another property. Changes in the capital gains tax structure and rates will affect investment property income for investors on both sides of the wealth divide. Although the tax rate rose only for those on the high end of that divide, anyone seeing capital gain income from investments will pay some capital gains taxes. 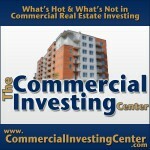 But an old tax code provision, the 1031 exchange, may offer a way to sidestep capital gains taxation. According to the American Taxpayer Relief Act of 2012, the top rate for capital gains taxation is now 20 percent, affecting single taxpayers earning over $400,000 annually, or married couples earning over $450,000. For the bottom two tax brackets, the capital gains tax doesn’t apply. But for those on the downside of this cutoff, earning less than $400,000 a year but more than $70,000, the capital gains rate remains the same – 15 percent. What constitutes the capital gains tax? When investment property is sold, the profit received from the sale is taxable as a capital gain. This includes recapture of depreciation on the property, which is now taxed at a rate of 25 percent, applicable state taxes, and the Federal tax rate imposed according to income. Federal capital gain rates include the higher rate for those on the far side of the $400,000 line, as well as the “Medicare Tax” that imposes a 3.8 percent surcharge on passive investments for those in that higher bracket. Because of these changes to the capital gains structures, an old solution is attracting new attention. Under the terms of a 1031 exchange – a tax loophole dating back to 1921, — it’s possible to conduct property transactions in a way that defers taxes and sidesteps the capital gains liability in the current tax year. The key word in the 1031 exchange strategy is exchange – one property can be exchanged for another of “like kind” within a short, highly specific period of time. Since the transaction functions as a swap of assets, not a sale, it isn’t considered taxable, although any cash that changes hands can be taxed. 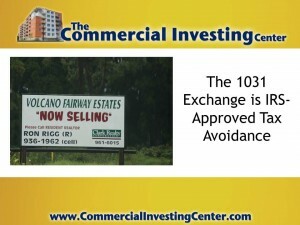 A number of rules govern the 1031 exchange process. One key stipulation requires that the proceeds from the transaction must go through the hands of a qualified, third party intermediary in order to avoid taxation – not directly from seller to buyer, or through any agents directly representing them. Another rule of the exchange process states that the property acquired in an exchange must be subject to an equal or greater level of debt than the original one. Otherwise the buyer must pay taxes on the amount of the decrease. And the timelines for conducting the transaction must be strictly observed. 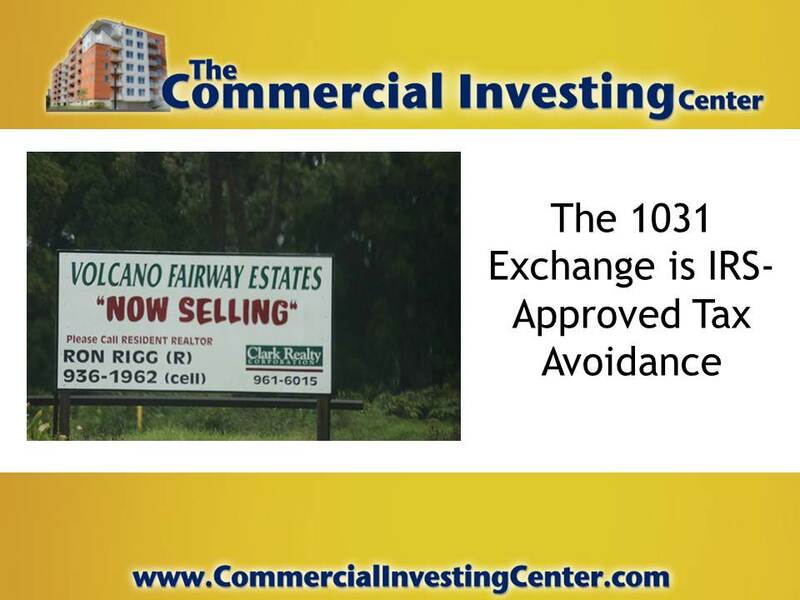 1031 exchanges aren’t for everyone. But for investors in those higher brackets following Jason Hartman’s strategies for investing success, this old provision may be the new solution to keeping more of the income in income property.